Niall McGuinness, Trey Stone and John Shipley will perform live at the Music on the Beach fundraiser for the Tahoe Arts Project on Thursday, August 24, from 6 p.m. to 9 p.m. at the Tahoe Lakeshore Lodge in South Lake Tahoe. Suggested donation is just $10 per person to see these three local legends while you support art programs for local school children. Enjoy this special evening with friends as you help raise money for kids’ art programs. Bring blankets and low-back chairs – but no pets please. Sodas, water and baked goods will be available for sale. The musical fundraiser takes place August 25, 2016, 7-9 pm on the beach at Tahoe Lakeshore Lodge & Spa (behind Heidi’s Restaurant) in South Lake Tahoe. Meet the local performers who play a pivotal role in the South Lake Tahoe music scene. 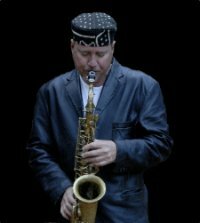 Niall McGuinness, saxophonist-flutist-percussionist and a second-grade teacher at Sierra House School, has brought together the most talented musicians in the region to create The New World Jazz Project to bring his passion for travel and world cultures to life. A musical performer for over 30 years, Niall’s roots are from Miami where he was turned onto jazz and Latin music, particularly salsa that allowed Niall to freely improvise and develop a style of hand percussion all his own. His songs come alive with an injection of soulful percussions, sax, flute and piano that create an engaging mix of Latin, Soul and World Jazz music. While Niall may be the leader of the band, he definitely lets his individual band members shine. Soul, Latin, and Afro-jazz music is being played straight ahead and right down the middle, creating a fresh voice on the scene. Joining Niall will be Trey Stone on guitar, and John Shipley on keyboards. 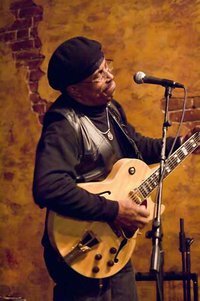 A behind the scenes pioneer of the 70’s Soul Funk explosion, Trey Stone was a key player in the era’s Dance & Funk sound and has contributed his talents as a multi-instrumentalist (Guitarist/Keyboards/Vocals) and/or writing and production to dozens of hit recordings. Smash hits like Rose Royce’s“Car Wash”, “Smiling Faces” The Undisputed Truth, “What’s Bootsy Doing’?” Bootsy Collins and Dee Lite’s “Groove is in the Heart”. Nominated for a Grammy for his work on “Kissing You” with Keith Washington also earned him a gold record with Warner Bros. Performing, co-producing and writing with legends such as Norman Whitfield, Joe Harris The Undisputed Truth, George Clinton, Bootsy Collins, Dee Lite, Jr.Walker and the All Stars, …even making a appearance on Saturday Nite Live and David Sanborn’s Night Music. Trey also appeared at MTV’s “Rock in Rio” sharing the stage with the likes of Prince, George Michaels, Run DMC and the list goes on. “Provide cultural enrichment and diversity for the community through the arts and education with particular focus on our youth.” TAP mission statement. Due to Lake Tahoe’s physical isolation in the Sierra Nevada mountains, exposure to professional performing artists is limited. Tahoe Arts Project (“TAP”) was established in 1987 by a group of parents, professional musicians and teachers to fill this void. TAP’s primary focus for the past twenty-two years has been the production of in-school residencies. 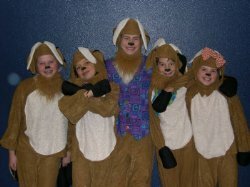 TAP’s artists-in-schools programs meet the need for high quality fine arts activities for the region’s children. TAP also produces a public performance series for the enjoyment of our community. TAP’s programs include acclaimed performing artists from various genres and cultures and has been nationally recognized as a role model for other arts-in-education organizations. TAP reaches over 5,000 students, in grades Kindergarten through 12th, within 10 schools in El Dorado, Douglas, and Alpine counties of California and Nevada. The artists whom students meet through the TAP programs serve as role models that demonstrate the values of self-discipline and the pursuit of excellence. Current research validates TAP’s philosophy that these experiences also help students develop their own creative and problem solving abilities, foster intellectual development and success in all academic areas. 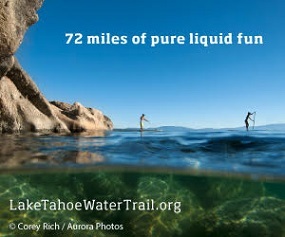 For more information, please visit www.tahoeartsproject.org. Contact Peggy at (530) 542-3632 or tahoearts@aol.com for more info.